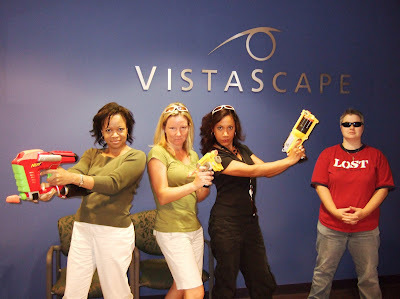 Don't mess with the women of VistaScape! Not only can we take you down (with our high-powered Nerf guns), but we can also trash talk and spank up on you in the foos room. Ya doubt me? Bring it! You have not seen me shoot!